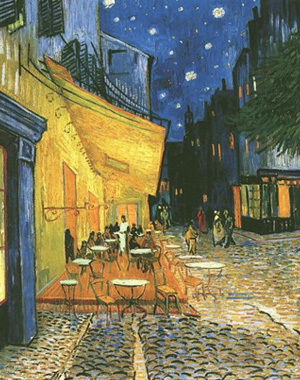 Many of you have seen Van Gogh’s works. They have been injected into pop culture time and time again. You can find his works on mugs, tote bags and mouse pads. But it’s some of his lesser known works that are the most beautiful and seeing your favorite work on a mug isn’t the same as seeing it in person. If you’re a fan of impressionist painting why not visit the home of Van Gogh. You can visit one of the largest collections of Van Gogh’s work in Amsterdam, at the Van Gogh Museum. The Van Gogh Museum was founded in 1973 and houses not only works by the artist himself but by his contemporaries and artists who influenced his art. Seeing his works in person holds a whole different appreciation for the artist. He created over 80 paintings in his short 37 years and many of them are valued in the millions not to mention all of his sketches. Yet his work did not find favor while he was alive and struggling with mental illness. It was not until after he took his own life did his work start to find a home in the history of the art world, which seem to happen too often. When visiting Amsterdam this museum is a must see. Make sure to at least give yourself a half a day if not more to explore. You will not only see master works by Van Gogh but Matisse, Gauguin, Monet and Manet to name a few. To be honest the museum can be bit of a labyrinth with twists and turns but it is well laid out and flows beautifully. Allow yourself to get lost in the vibrant colors of such works as Seascapes near Les Saintes-Maries-de-la-Mer (1888) and Wheatfield with Crows (1890) or empathize with the dark somber hues of The Potato Eaters (1885). But I find his drawings to be the most fascinating. You can see the his true talent in his steady hand of Old Man Reading (1882) or The Sower (1881), which to me, always seemed two hundred years ahead of its time. More reminiscent of a WPA art work then an impressionist piece. But don’t take my word for it…see it for yourself. The Van Gogh museum is open daily from 9am to 5pm and on Fridays it stays open until 10pm. Tickets are around $18 per person, but if you purchase an I Amsterdam city card the admission is free. Until next time, life happens, travel now and see great art!